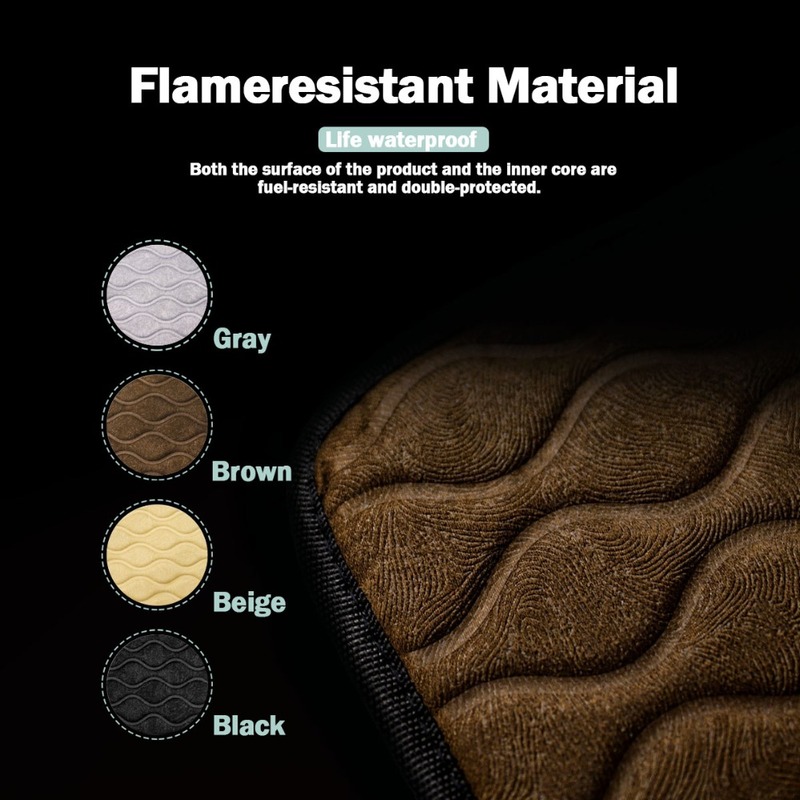 1.Flameresistant Material-Both surface and inner core are flameresistant material, double guarantee. 2.Temperature customization-The temperature of the heating cushion chip is 55 degree, surface is 36 degree for under 7 years old child. 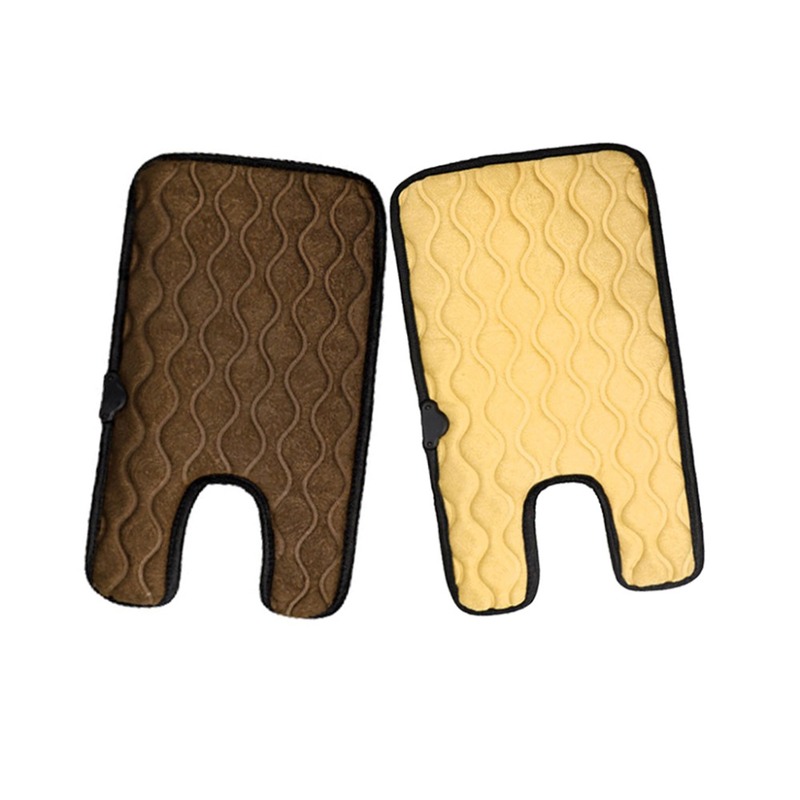 The temperature of the heating cushion chip is 65 degree, surface is 38 degree for more than 7 years old child. Keep babies from inflaming because of heating and lack of water. 3.Adjustable Temperature-Temperature is divided into 2 gear range. L is lower gear. H is higher gear. 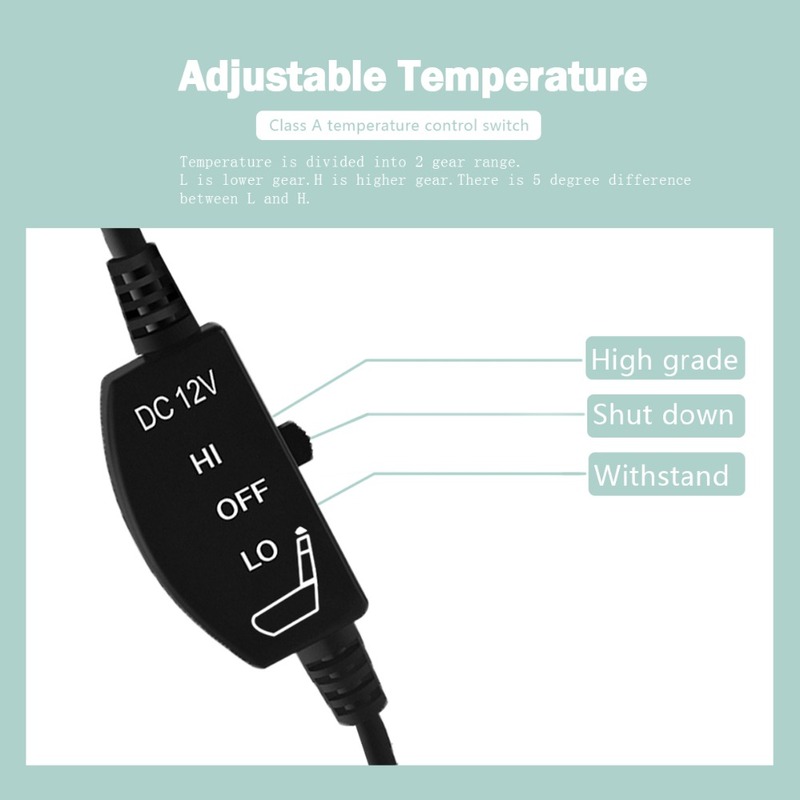 There is 5 degree difference between L and H.
4.Intelligent Automatic Temperature Control-Waiting heated when power on, will heating automatically when baby sit on it. 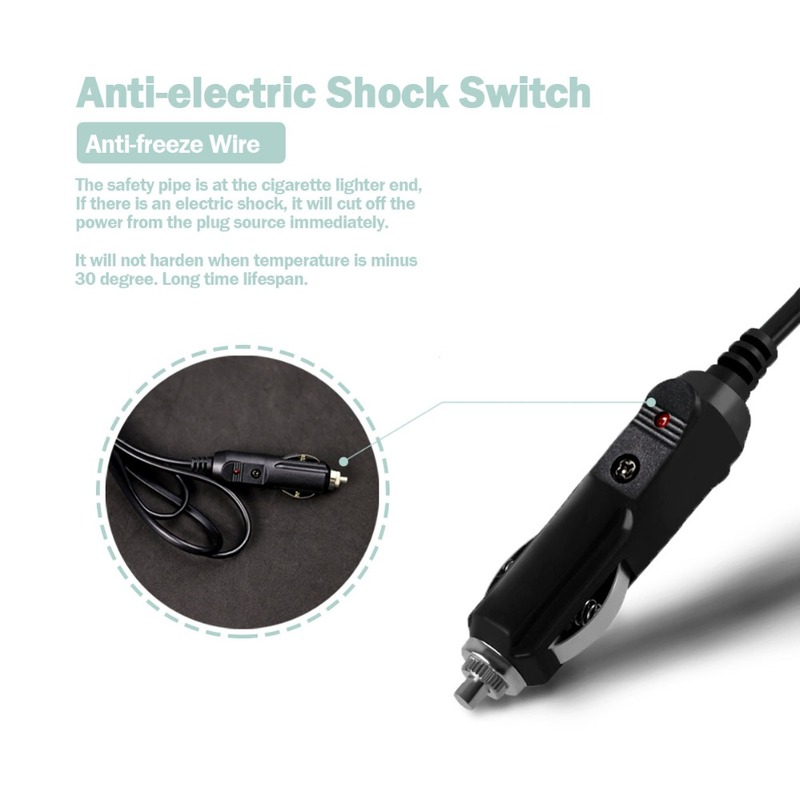 5.Anti-electric Shock Switch-The safety pipe is at the cigarette lighter end, If there is an electric shock, it will cut off the power from the plug source immediately. 6.Anti-freeze Wire-It will not harden when temperature is minus 30 degree. Long time lifespan. 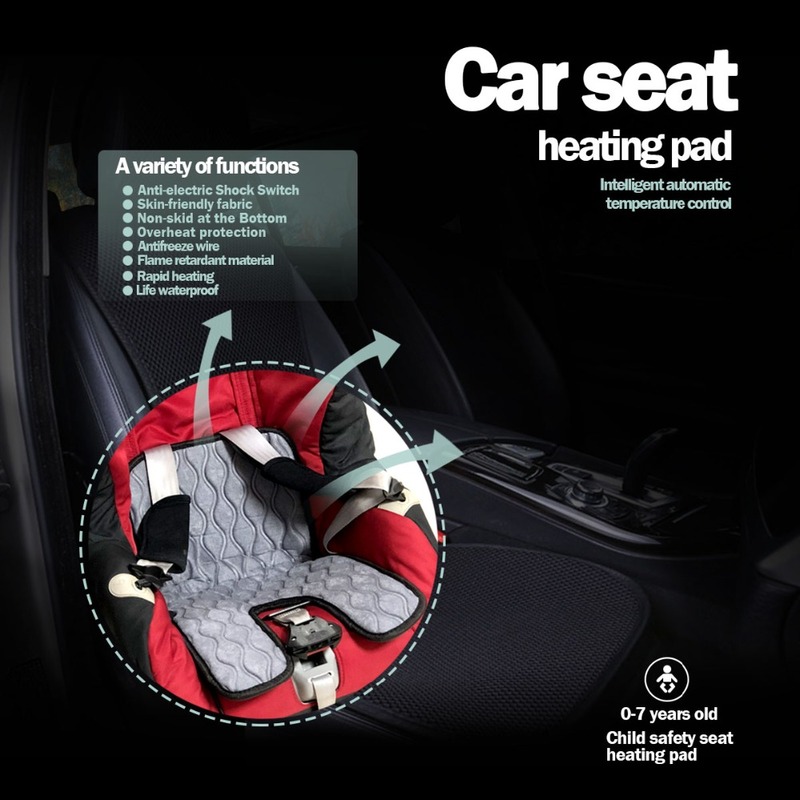 7.Quick Heat-It takes about 4-5 minutes to finish heating when baby is on the seat after car engine is on. 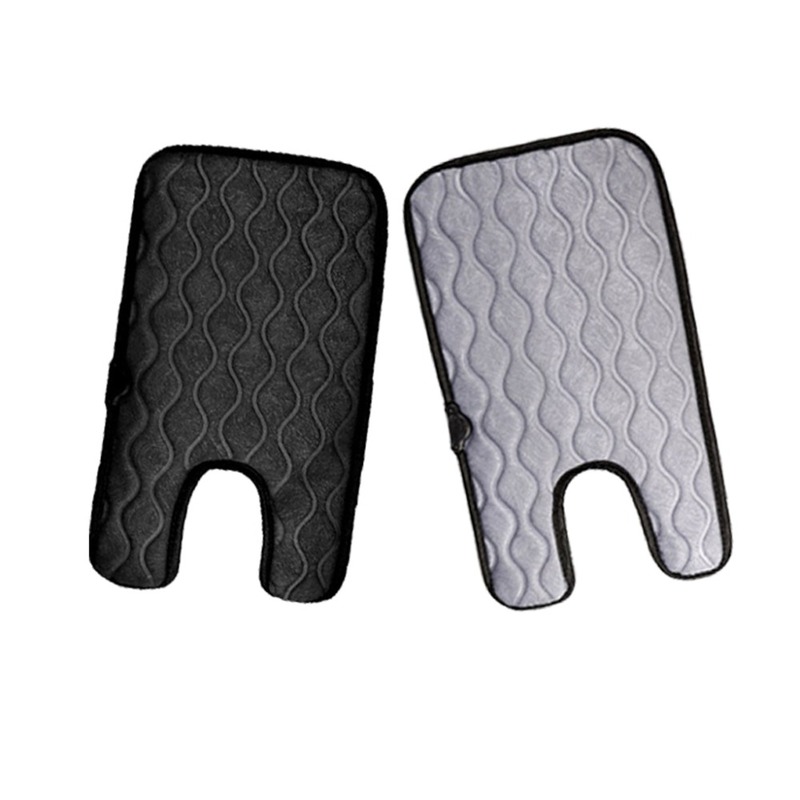 8.Overheating Protection-When the temperature reach a certain degree, heating will stop automatically. It will reheating again when the temperature reduce to a certain degree. 9.Water Resistant-There is professional design for water transmission line on the surface. No longer afraid of any water and baby’s urine. 10. 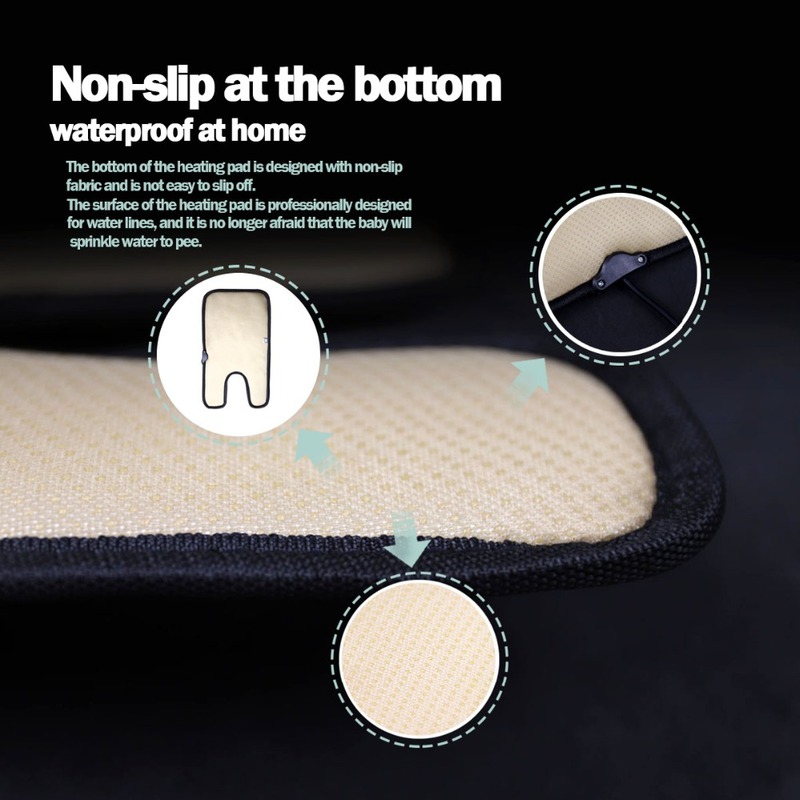 Non-skid at the Bottom-Heating cushion bottom is designed with non-skid fabric, not easy to slip. 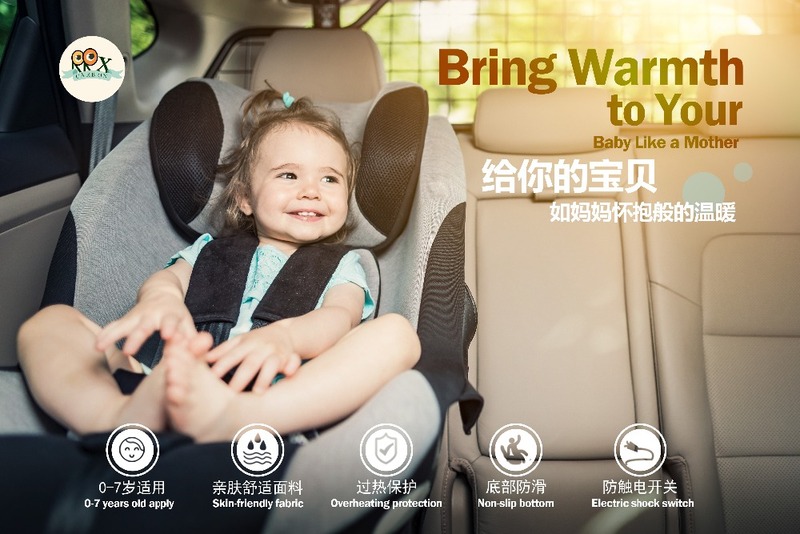 Safety Baby Heating Cushion is divided into 3 kinds: Small Style for 0-1 years old baby, Middle Style for 1-7 years old baby, Large Style for beyond 7 years old baby. If for home use, please use 12V power transformer. Notice: It will be a little bit different for each people because of the area temperature, thickness of the clothes, etc., which are normal phenomenon. 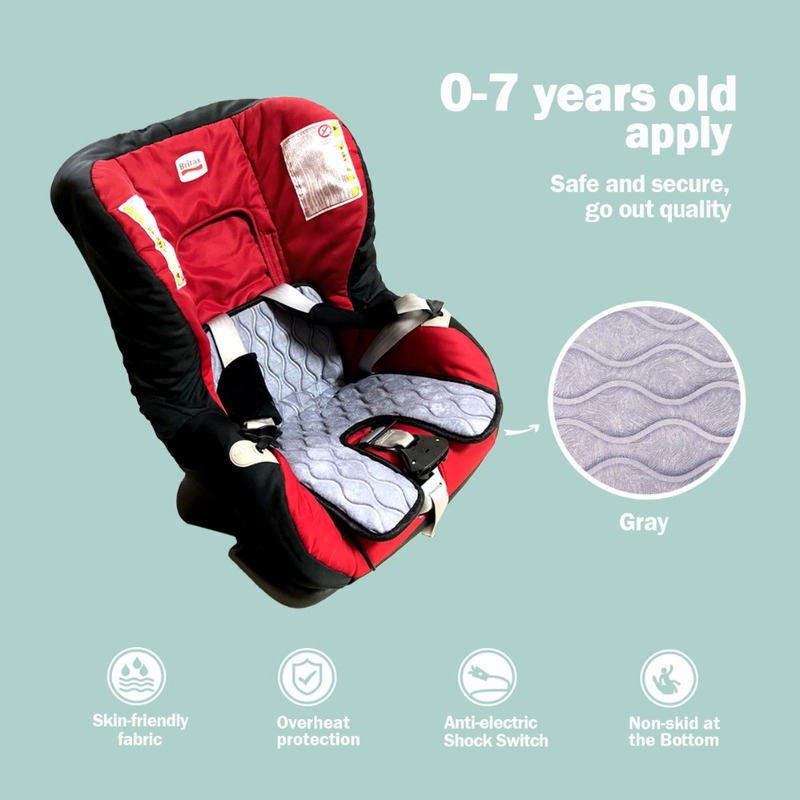 And because of different size of baby safety seat, the cushion may not suit 100%, may be a lit smaller or bigger. But it will not influence the effect of the cushion. Just choose the most suitable size is ok.